When you are nearing retirement, you will want to lower risk and prepare to live on a fixed income. You may have retirement benefits coming in, but if you’ve been learning to invest or paying someone to invest on your behalf, you should have funds coming from a personal retirement account. 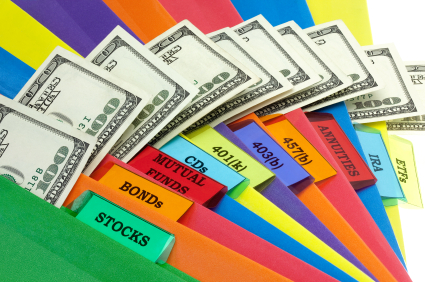 Some retirees have real estate, stocks, mutual funds and the like but if you are really looking for specific cash flows, you might want to take a look at bond allocation in your portfolio. Bond laddering is a way to invest in bonds for the purpose of creating a cash flow stream that will match the cash outflow you expect in retirement. Bond laddering is the process of purchasing coupon paying bonds in order to create a fixed income stream of payments. As each bond matures and the principal is returned, that cash is reinvested in a bond so that the bond ladder continues to throw off cash flows. There are several benefits to bond laddering. One is the ability to reduce risk through the actual fixed income security itself. Bonds are seen as more safe than stocks because of the reduced movement or volatility. This will depend on the type of bond. Bonds that are backed by the government will be seen as less volatile than bonds that are backed by a corporation. However, the risks associated with bonds should be carefully researched and if you are unsure at any point, you should contact a financial advisor that can walk you through the process of selecting bonds. Bonds are called fixed income securities for a reason. They give you the ability to manage your cash flows. You can create a bond ladder using coupon bonds that will pay quarterly, monthly, or even weekly. It all comes down to creating your desired cash flow with the proper bonds. To begin your bond ladder, you would start by looking at bonds with different maturities. There are a few benefits to selecting bonds with different maturities. When a bond’s maturity date reaches closer to the present, the interest rate becomes more sensitive to changes in the market rates. For example, the 30 year bond rate may only move a small bit when economic changes cause current yields to fall; while the 3 month rate could change widely. Laddering using bonds with differing maturities is necessary in order to smooth out wide swings in your bond portfolio. There are 3 basic steps to creating a bond ladder. You will need a screwdriver, some wood and a hammer. Ok, just kidding. But you will need some tools. Namely, you will need a few bonds of differing maturities, you will need to know how long you plan to maintain this bond ladder and you will need to know what type of bonds or fixed income securities you want; corporates, treasuries, municipals, CDs, etc. You should also be ready to start with about 20 thousand dollars. Most bonds are sold in 1000 dollar denominations. As each bond matures, it would be reinvested in the bond ladder and you would continue to receive the coupon payments. If you are not ready to begin investing with that level of cash, you may want to consider bond funds instead. A bond fund can replicate the benefits of a bond ladder and help you get to the level of cash you need to start bond laddering. Have you considered a bond laddering strategy? How do you plan to control cash flows in retirement? Good post. Plenty to learn. Still I prefer plain stock and bond funds for retirement account. I will definitely look into bonds when I am nearing retirement. I am still more into stocks for long term appreciation. I guess bonds would work as well but like SB I like stocks and once I got to the point of actually retiring I would do a mix of stocks for some good returns and cd laddering for security. Good post but I also think it depends on when you retire if you are 45 you will still want some decent returns. Good point. Bonds are a great way to take some risk off the table but with yields the way they are now, bonds are not looking too hot. Good post. This definitely must be tailored to one’s individual retirement strategy. This could be a good way to spread risk across multiple income-earning securities. Nice takeaways! Thanks! I like the diversification across asset classes for minimizing risk for sure. Exactly! If they could go lower than zero right now I bet they would. I prefer to focus on tax-exempt bonds like muni-bonds. A laddering strategy would work great for thee bonds as well. I also think there are bond-laddering funds (ETFs or mutual funds) available that can manage a laddering strategy for you. Muni bonds also usually pay a higher yield so I am sure many investors are looking into those now. I do like this strategy for a part of the income portfolio. By the time I approach retirement, I hope the muni bond waters will be safe again for a dip. Right now there’s quite a bit of uncertainty with looming city and county bankruptcies. Yeah, Europe is a mess and I still think the crisis has not played out completely. I think that is evident from the whipsawing market.